Looking for something to watch? DIRECTV Satellite offers thousands of channels and something like 50,000 on demand programs. Sure, you can go out to the internet and watch cat videos, but you won’t find a better entertainment value than the massive amount of live content available on DIRECTV Satellite. In fact there is so much stuff that just finding it can be a little daunting. There’s so much to choose from and it can be hard to make up your mind. Here are the five ways of looking for something to watch, ranked in order of least effective to most effective. If you really want to understand what your parents went through (or if you want to relive your younger days) you can flip through channels using the channel up/down button. This is slow and frustrating but kids, it was a different world back then and not everyone could afford something so fancy as a (printed) TV guide. It will take you about an hour if you were to flip through 1,000 channels. By the time you finished there would be other programs to watch. And, of course as you were flipping you’d have to make note of what was on, so you could go back to it. That’s assuming it didn’t end while you were flipping through the channels. The other problem with this method is it doesn’t give you access to on-demand. It limits you to live TV programming. While there’s a lot of that, it’s not all there is. There’s a ton of on-demand stuff and you can’t get it by flipping channels. Of course DIRECTV Satellite has a guide. Every cable and satellite company’s products has a guide, we’re not all heathens here and it’s not the eighties. If your only two choices are guide and flipping channels, then you’re only going to be happy with that if it’s about 2003. The guide not only tells you what’s on now, it tells you what’s on soon. It will take you maybe 5 minutes to flip through a fully populated guide, a lot less if you’ve set up a favorites list. 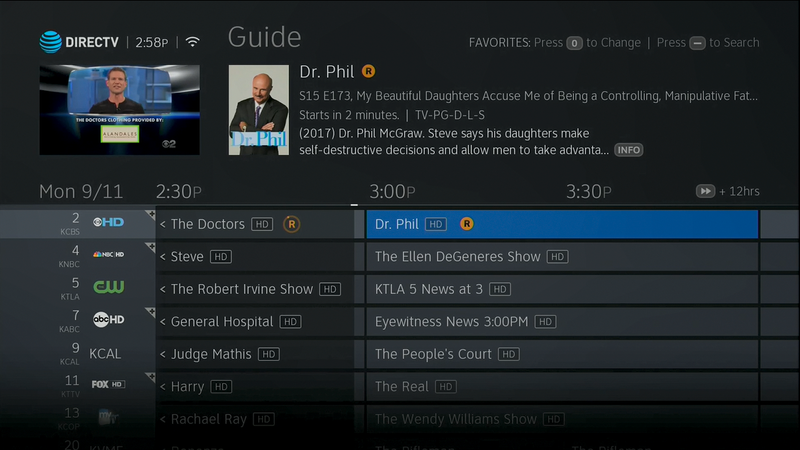 In the DIRECTV guide you can actually look at lists of what’s on one channel by going all the way to the left and pressing INFO, or if there’s on-demand content for that channel you can browse it by going all the way to the left and pressing SELECT. Where the guide falls short is in looking in the far future. You can keep hitting the right arrow to go 4 hours at a time into the future, up to a maximum of two weeks. That’s great but since you can’t see all the channels all the time, you’re basically going ahead 4 hours, scrolling the guide, going ahead 4 more hours, etc. Searching onscreen is actually pretty good. If you have a Genie system then you can search by pressing the DASH button to the left of the zero. With older systems press MENU and arrow to Search and Browse. You can arrow over to each letter individually and press SELECT, or if you’re feeling old-school you can use the “T9” method used for texting back in the early 2000s. You remember it right? Press the number 2 once for A, twice for B, three times for C, four times for 2… on and on. If you’re still pretty proficient at this you can actually get it done pretty quickly. If you have an Amazon Echo, you can actually say out loud, “Alexa, find Star Trek” or whatever you want to search for. 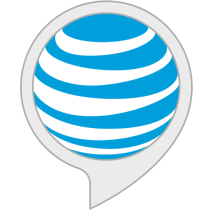 Just add the free Alexa skill from Amazon. 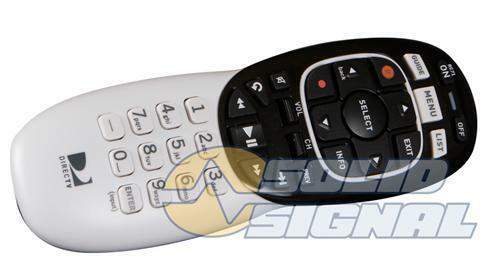 From there you can set up recordings with your voice or switch over to the remote to finish up. It’s somewhat convenient although you do have to be in front of the TV to get it done. You also need extra hardware, which is why this isn’t option number 1. 1. 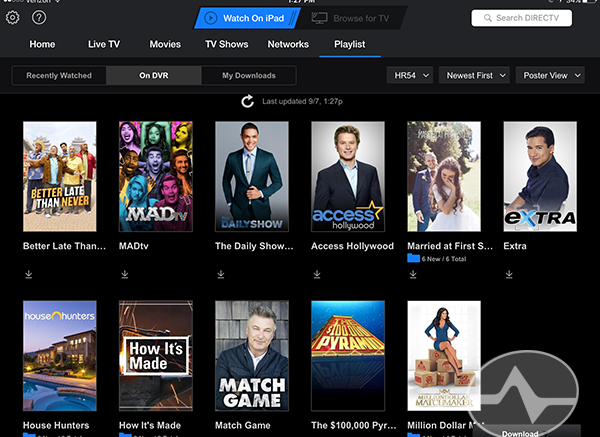 Free DIRECTV app for phones and tablets. Yes, to use this method you need a phone or tablet. But who doesn’t have one of those at this point? 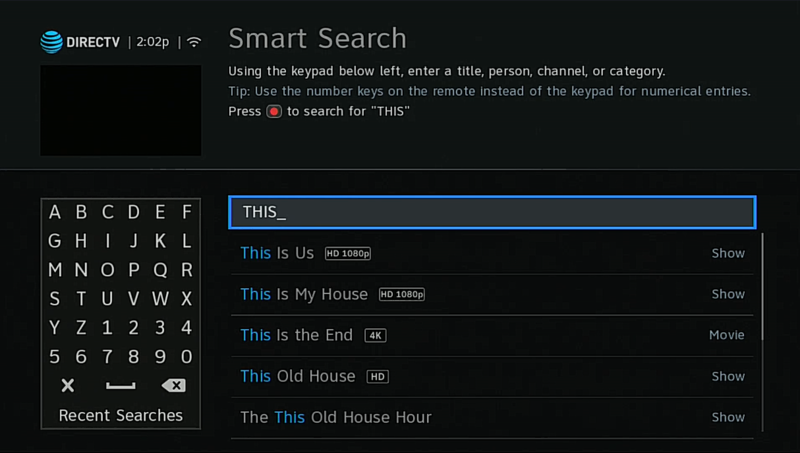 Using the free DIRECTV app for phones and tablets, you can type or dictate a search and then set up recordings. This can be done from anywhere you have cell service and you won’t bother someone else watching TV. This makes it the absolute best way of finding what you’re looking for! Will regional sports networks collapse in 2016?